Apple’s HomeKit smart home framework will soon support the use of NFC for accessory pairing, the iPhone maker has revealed. The move follows the announcement that Apple is to enable support for NFC tag reading on the iPhone and on Apple Watch devices once iOS 11 ships “in the fall”. The latest enhancement to the HomeKit Accessory Protocol Specification also adds support for QR code accessory pairing, with the aim to “help a lot of manufacturers” who are building smaller accessories, Apple’s Praveen Chegondi told attendees during Apple’s Worldwide Developers Conference (WWDC) last week. 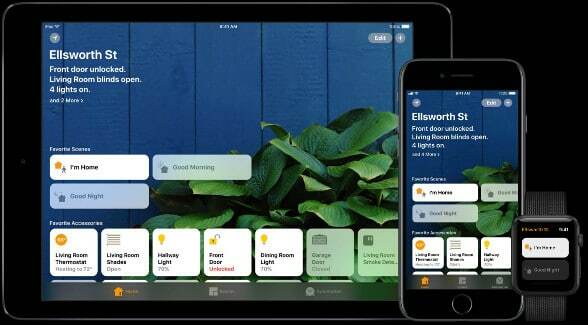 “In iOS 11, we made some great announcements to the HomeKit Accessory Protocol,” Chegondi said during the event’s What’s New in HomeKit session. “We are now supporting scanning of QR codes for setting up HomeKit accessories. The QR code is standards-based and can be as small as 10 by 10 millimeters — that’s pretty small. “The small form factor of the QR code will help a lot of manufacturers to put the QR code on the smaller accessories and this is really great — but, we didn’t stop there. We took one step further and in addition to supporting QR code, we also added support for NFC tags and we are really excited about this. Currently, iOS 10 users set up HomeKit accessories by powering on the accessory, choosing the accessory from the Add Accessory category on their mobile phone and scanning an eight-digit accessory code.